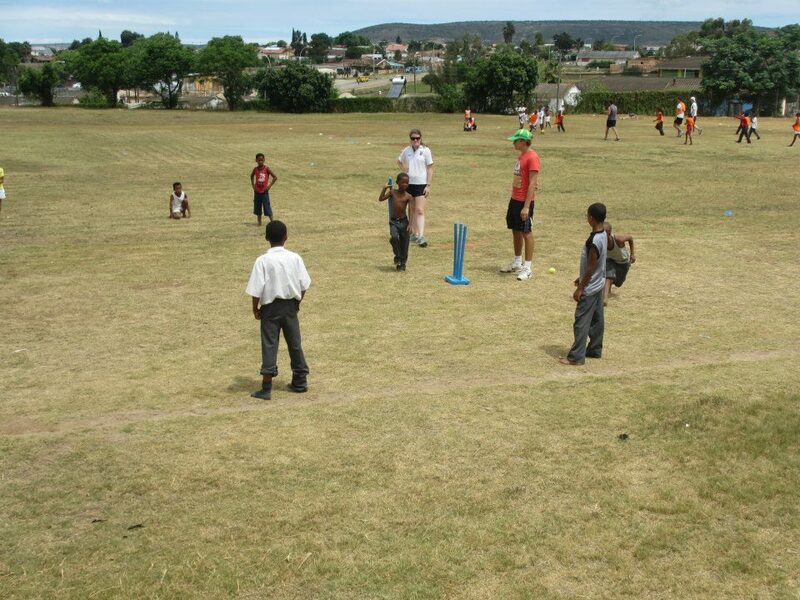 “From January to April 2013, I spent 12 weeks volunteering in South Africa, coaching sport in the townships. I was desperate to do something to do with sport on my gap year, seeing as it is my passion. When I found this scheme online with Oyster, it sounded perfect, and I went forward with some trepidation and rang them to find out more. My nerves were soon calmed, when a the lovely Destination Manager Anne picked up on the other end and explained the whole thing to me and made me feel at ease. The fact they then asked to do a phone interview with me made me feel even safer, proving that they cared about who actually volunteered, and that they weren’t just throwing anybody on to the course! I signed up and next thing I knew, January the 11th was upon me and it was time to go to the airport. Now don’t get me wrong, I was completely terrified on the way. I knew 2 boys that I had met a few months earlier, but there I knew that I was about to be thrown in to the deep end with 34 other people that I didn’t know. However, I hadn’t even been there a day and we had already been to the cricket and bonded brilliantly. From then on in the 12 weeks were a blur. The sports coaching was unbelievably satisfying, the kids were amazing, and even better, I made friends for life. We are almost two years on now, and we all see each other at least every few months for a big reunion. I would say that most of my closest friends I met in South Africa, and that was worth doing the scheme for in itself. That’s without the amazing travelling we got to do every weekend, the skydiving, the bungee jump, the skydive. Even better, all of these trips were organized for us, and all you have to do is sign up. If you are debating whether to do this or not. Just do it. I cannot say enough how incredible it was. Every single one of us have said that it was the best 3 months of all our lives. It is the most rounded way to travel you will ever do. Why do a ski season in boring old France when you can go somewhere completely different, meet amazing new like-minded friends, experience things that you will never experience again, and get to know some of the nicest children you will know. By the end of the 12 weeks, you get to properly see your kids develop in your sport, and I’m telling you now, there is no greater satisfaction than the feeling of knowing that you have positively improved these children’s lives. 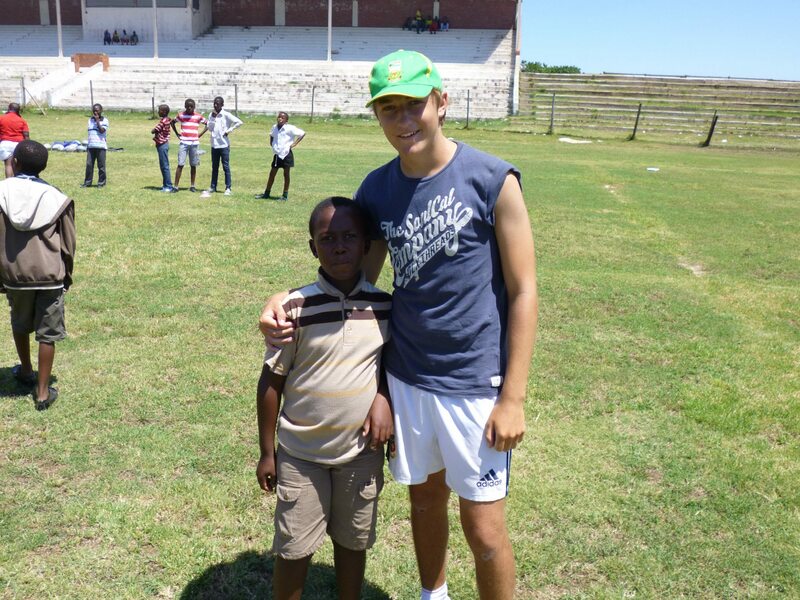 To find out more about the sports coaching volunteering in South Africa that Toby took part in, see our sports coaching webpage. Next Post Why is marine conservation so important?